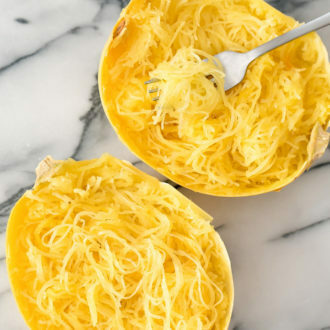 Cooking Spaghetti Squash in an Instant Pot is the quickest and easiest method I’ve come across. 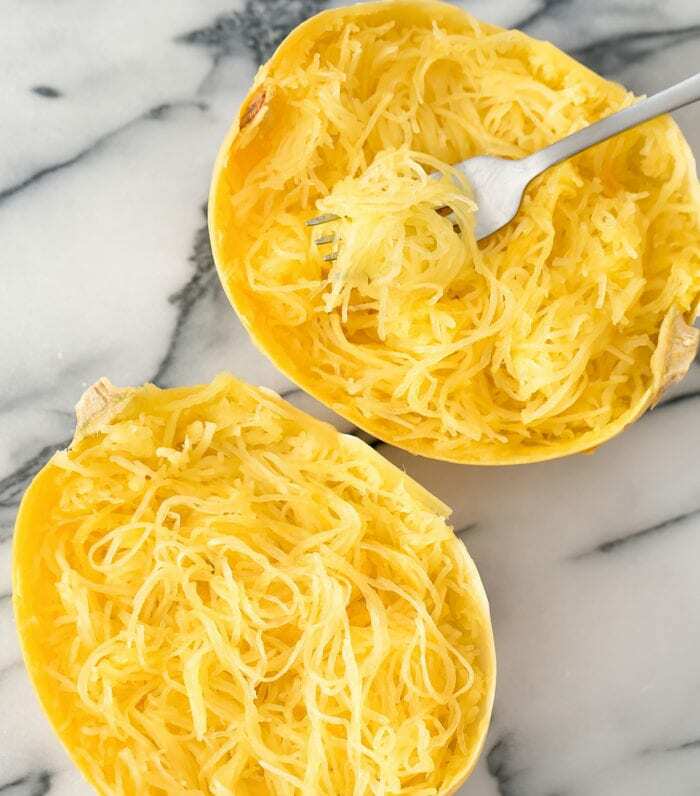 Today I’m sharing a tutorial with video on how to cook spaghetti squash in an Instant Pot. I’ve shared a few spaghetti squash recipes these past few months. 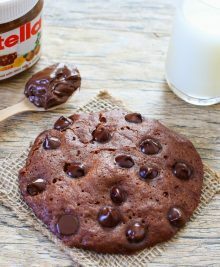 Many of them I have made in the Instant Pot, so I wanted to do a dedicated post detailing this method. 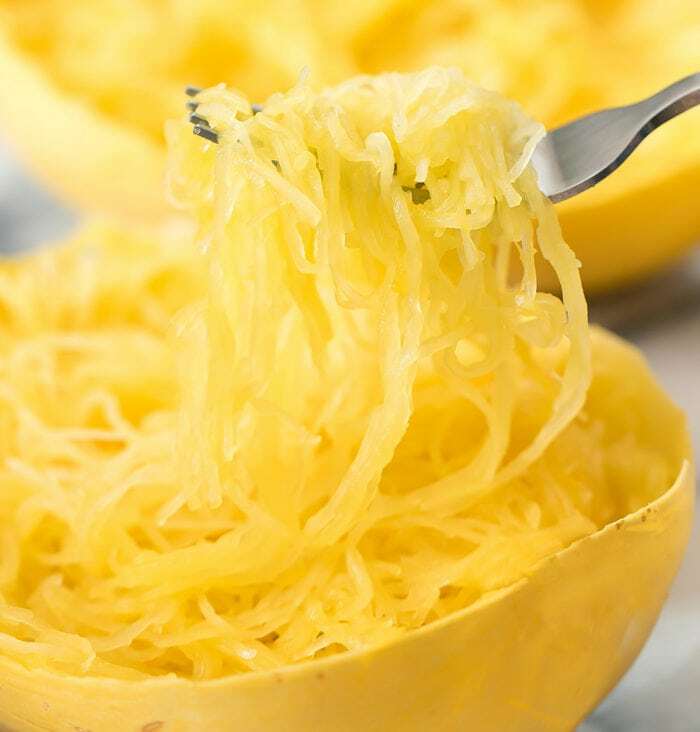 Most spaghetti squash cooking methods require a long cooking time to tenderize the squash and require dividing the spaghetti squash in half. 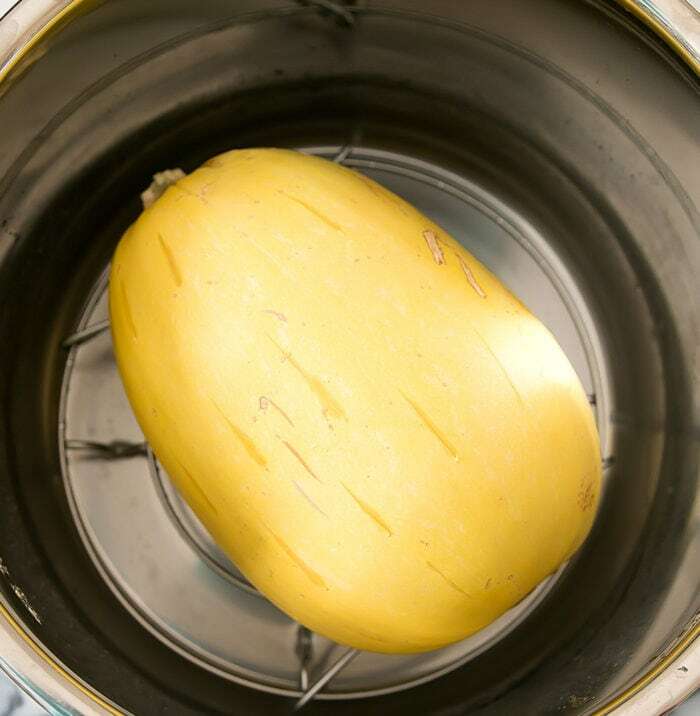 The Instant Pot method lets you cook the squash whole and it only requires 15 minutes cooking time to completely cook a 2 lb squash. Choose a squash that weighs around 2 lbs. Use a sharp knife to make about two dozen 1/2 to 1-inch long cuts in the squash. Add 1 cup of water to the Instant Pot. Place in trivet. Place squash on top of trivet. 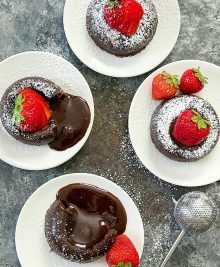 Seal Instant Pot and set it to high pressure steam for 15 minutes. Perform a quick release when it finishes. Your squash should come out cooked and tender. The skin should be so soft, you barely need to cut it open. 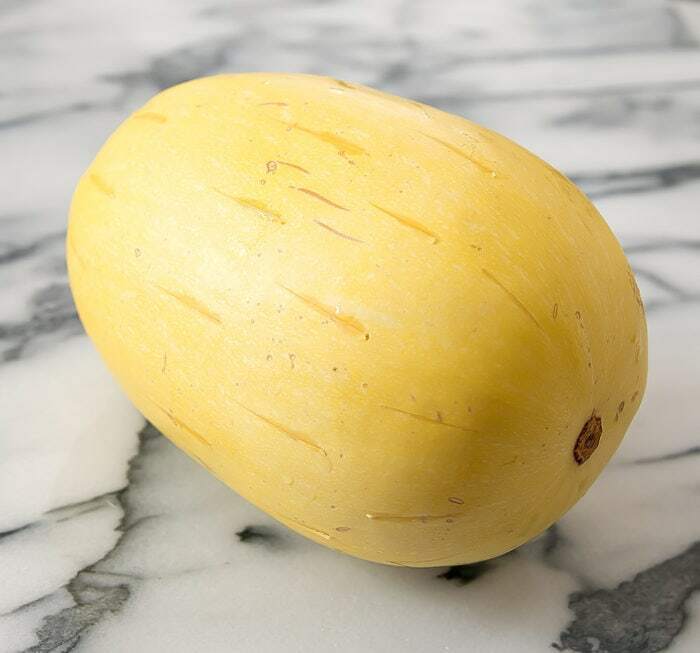 Cooking spaghetti squash in the Instant Pot is fast and easy. You can cook the whole squash in about 15 minutes! Pierce the squash all over with a sharp knife, making ½ inch to 1-inch cuts into the skin, so that the squash can vent when cooking. I made about 20 cuts, spacing the piercings about 1 inch apart. Add 1 cup of water to Instant Pot. Place in trivet. Place squash on trivet. Seal and cook on high pressure for 15 minutes. Perform a quick release when it is finished cooking. Carefully remove squash and set aside to allow to cool slightly. Slice squash in half. Shred squash with a fork.